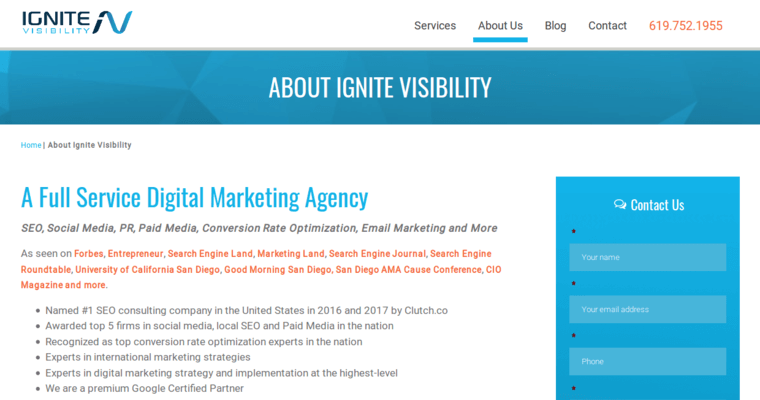 Mission Federal Credit Union, Wedding Wire, and Tony Robbins are three of the most popular clients that Ignite Visibility does search engine optimization work for on a regular basis, though there are more than 150 other clients across the portfolio of Ignite Visibility. 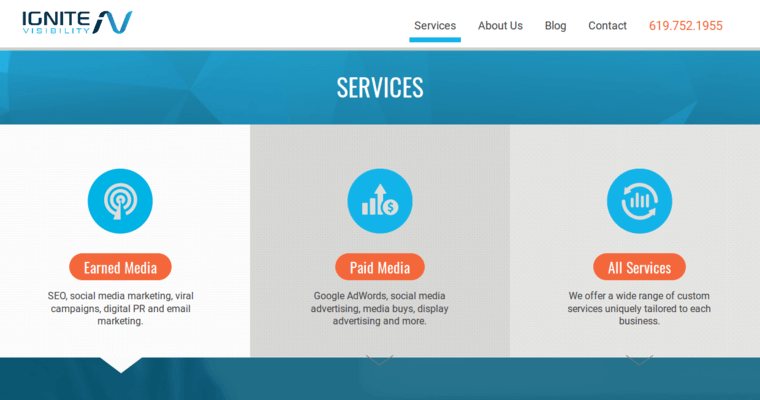 This firm has been named the best SEO agency more than a handful of times due to the great work that it has done for clients all not just the local area that Ignite Visibility is located in but its entire region. 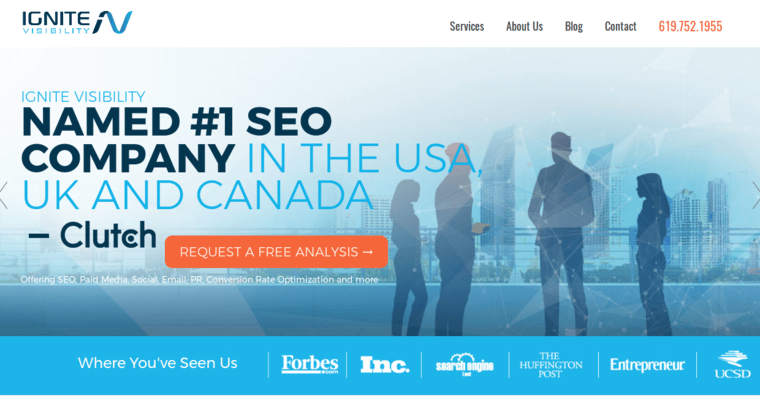 Ignite Visibility, believably so, was named the very best search engine optimization firm across the United States of America for three years in a row - 2016, 2017, and 2018. It's likely that Ignite Visibility will win the same award in 2019 based on the firm's most recent past performance. Ignite Visibility has helped countless businesses get ahead of their competitors - what are you waiting on?